PowerObjects, a professional services firm 100% focused on providing service, support, education, and add-ons for Microsoft Dynamics CRM, has recently released PowerGrid, a productivity add-on for Microsoft Dynamics CRM. This innovative CRM solution gives users the ability to edit any entity view inline without having to open records in a new window. PowerGrid’s inline editing capabilities makes editing records quicker and easier than ever allowing Dynamics CRM users to edit record fields, add new records, or remove records, without having the added step of opening a new window. Although the ability to use this add-on has not yet been developed for sub-grids, it is currently being worked on and will be up and running autumn of 2014. As is, the value of editing entity views already sets up PowerGrid as the newest “must-have” of the PowerPack add-ons suite. Additionally, CRM users have the ability to consolidate their search process by searching ONLY within entity views, saving users time from having to create advanced finds just to be able to search within a view. An example of this would be when a user is looking for an inactive record. CRM functionality would force users to exit out of the inactive records view and go into advanced find, but with PowerGrid you can now search within the view. 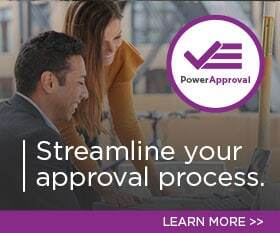 As with many of the other PowerPack add-ons, this turn-key add-on also provides users with a fully configurable reading pane that allows users to see what is within any selected record without having to open it, eliminating the need to navigate away from the PowerGrid screen, and giving back valuable time to CRM users’ workday. PowerGrid is one of twenty add-ons that PowerObjects has developed to enhance Microsoft Dynamics CRM functionality. Like all PowerPack add-ons, PowerGrid is available for a free thirty-day trial and can be directly downloaded from the PowerObjects website.